VoLTE, also known as Voice over Long Term Evolution, is a communications service that uses the 4G LTE network to provide voice calling. It is currently offered by most of the major wireless cellular providers in the United States and can be accessed using newer smartphones. VoLTE offers high quality voice calls with minimal background noise, making it much easier for both people on a call to hear one another than before. This is a major improvement from the standard call quality most people were used to, which was at times patchy and garbled. VoLTE calls are also generally considered more reliable and stable since they are less prone to suddenly disconnecting or experiencing glitches. VoLTE uses the LTE standard for network transmissions over the 4G wireless network, which allows cellular providers to more efficiently deliver communications services to their customers — whether that's phone calls, video calls, text messages, or anything else. With VoLTE, voice just becomes another form of data that travels over the cellular broadband network. This is a step up from the older method of managing smartphone communications, in which voice and data traveled over separate networks and cellular providers could not ensure as high a quality of service for the voice communications. Since VoLTE lives on the same network as other data communications, you can use both voice and data at the same time while you're on a voice call. So if you want to look something up on the web or use an app while talking with someone on the phone, for example, you can easily shift back and forth between both tasks without losing your voice connection. VoLTE calls often connect up to twice as fast as traditional voice calls, making it easier to initiate a call than before. Does HD Calling Work with VoLTE? Yes. VoLTE offers HD Calling, also known as high definition calling. Verizon, AT&T, and T-Mobile all provide this service, often under the banner of HD Calling, though they may also refer to it as VoLTE or even using both terms. Sprint is expected to offer VoLTE sometime in 2018. HD Calling generally means that the call provides crystal clear audio, ideally sounding as if you were sitting close to the person you're talking with. 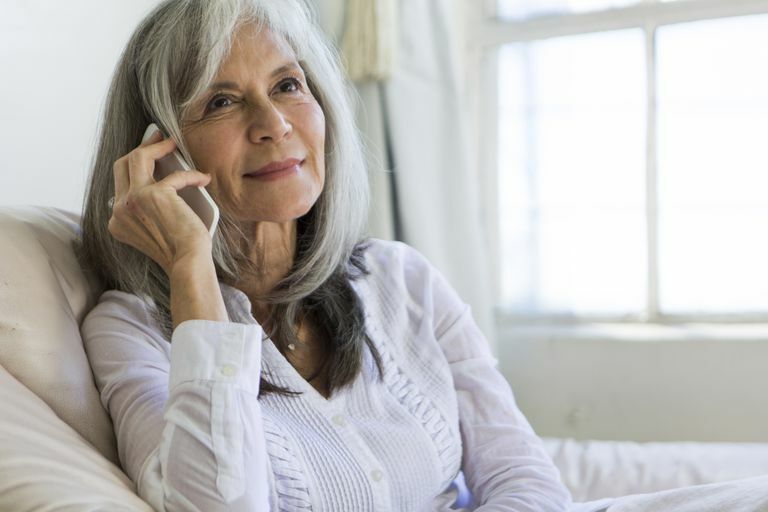 As a result, it's much easier to hear what the other person is saying when you are on an HD call than it would be on a traditional cellular voice call. To take advantage of VoLTE, both you and the person you're speaking with will need a relatively recent smartphone. On the iPhone side, any model from the iPhone 6 or 6S or above should natively support VoLTE calling. For Android devices, this includes models from the Samsung Galaxy S5 and the LG G2 right on up to more recent releases. Some users may need to update their SIM cards if they are using older ones. In that case, they can request a new SIM card from their cellular provider. In addition to having a current smartphone and compatible SIM card, everyone joining the call will need to be located in an area that has VoLTE coverage. This usually means an area with 4G LTE coverage since older cellular networks like 3G cannot support VoLTE. To make sure that VoLTE coverage is available where you are, check with your carrier. Here's where to enable VoLTE calling on iOS. Depending on how your carrier manages VoLTE (some automatically enable it while others don't), you may also need to activate a specific setting on your smartphone to take advantage of VoLTE calling. If you are using an iPhone, you can confirm this by going to Settings > Cellular > Cellular Data Options > Enable LTE. If Voice and Data is set to off, tap it to turn on VoLTE. For Android users, the steps for enabling VoLTE may vary depending on the device you have. To get specific step-by-step instructions on activating LTE on your Android device, contact your carrier. You don't actually need a separate app or special software, beyond what is described above, to place a VoLTE call. Part of the beauty of VoLTE calling is that it simply upgrades the existing voice calling experience you already enjoy. It doesn't require a separate app in order to work. VoLTE simply provides a higher quality of voice calling, built-in, using the phone service you already have. In fact, it's possible that you could be using VoLTE without knowing it. If you see a small icon marked HD at the top of your smartphone screen while placing a call, that's an indicator that you are indeed using VoLTE. It should be noted that not all carriers currently offer full VoLTE interoperability, so they don't all connect to one another's VoLTE services just yet. As a result, you may have difficulty establishing a VoLTE call with someone who uses a VoLTE service that is not yet compatible with your carrier's. For this same reason, you may also encounter challenges using VoLTE while traveling abroad. To find out in advance which carriers provide VoLTE services that work well with yours or whether you will be able to use VoLTE while overseas, check with your carrier. Before too long, all the major carriers' VoLTE services should work with one another. VoLTE is considered part of a suite of rich communications services (RCS) that may include video calling, instant messaging, presence (allowing pre-approved contacts to see your availability for a chat session or call), file transfers, real-time language translation, and video voicemail. All of these services can be tied to your phone number, making them more integrated with one another and easier to use. As wireless cellular providers in the United States continue to upgrade the broadband network infrastructure upon which their communications services rely, and especially as 5G service comes aboard, it is likely that additional rich communications services beyond just VoLTE will become available as well. As these improvements arrive, the overall experience accompanying VoLTE will be closer to what you already find in applications such as Skype, ooVoo, and FaceTime.